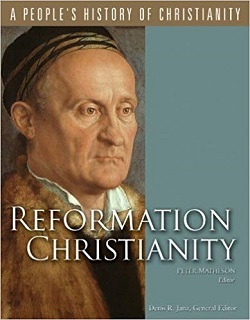 Perhaps no period in Christian history experienced such social tumult and upheaval as the Reformation, as it quickly became apparent that social and political issues, finding deep resonance with the common people, were deeply entwined with religious ones raised by the Reformers. Led by eminent Reformation historian Peter Matheson, this volume of A People's History of Christianity explores such topics as child-bearing, a good death, rural and village piety, and more. Includes 50 illustrations, maps, and an 8-page color gallery.